Thanks for the shout out! It was a great day! Today the Atlanta Journal/Constitution is featuring an article on the A380’s arrival at Atlanta’s Hartsfield Jackson International Airport. You might ask why this is important? 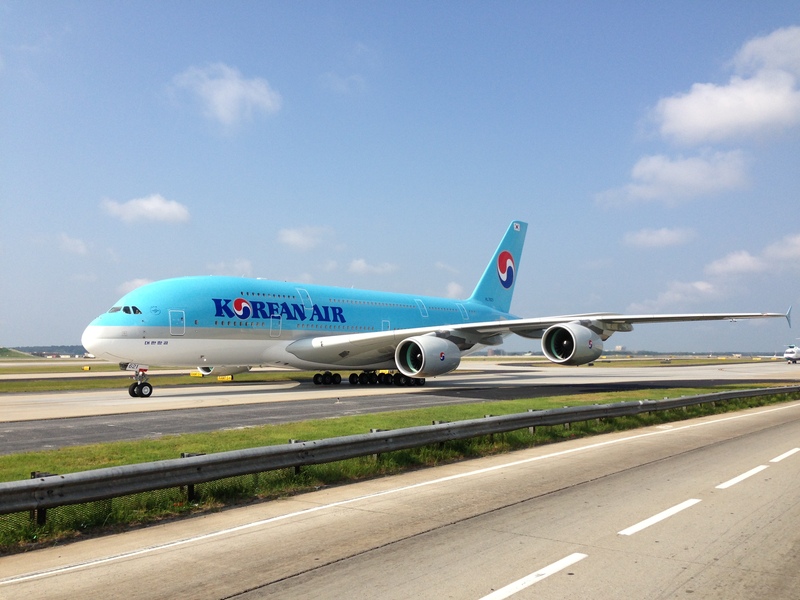 Last Sunday, September 1st, was the first landing of Korean Airlines flight 35 from Seoul, Korea to Atlanta. For av geeks (aviation geeks) like myself, this is big news. I was there to witness the special moment in Atlanta’s aviation history and took lots of pictures, which I shared here and on Twitter and Instagram.